Today, the vast majority of work and communication is conducted on mobile and wireless devices and users rarely consider using a wired network unless it’s a last resort. People want the ability to be able to do work anywhere, on any device, and IT teams need to be able to plan for this ability without drowning in complexity or cost. 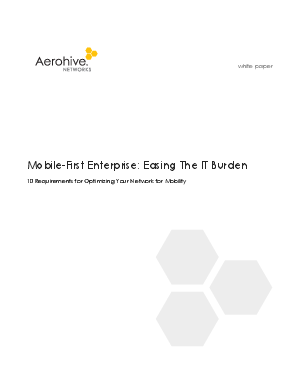 Download this whitepaper to see how to ease the IT burden and easily optimize your network for mobility.